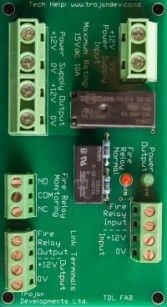 The Fire Alarm Interface board allows for the control of the power to the Access Control system via an input from the Fire Alarm system, to drop power from the Access Control doors upon a fire alarm activation. 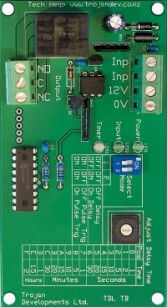 The TDL-TB is a multifunction timer board. It has dip switches for field selectable definitive time durations from 1 second up to 2 hours. It is extremely versatile with 4 input modes (Off Delay, On Delay, Off Pulse & On Pulse) allowing endless application possibilities. 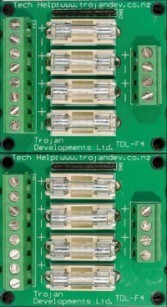 This is a universal Mounting Base for all TDL Relay, Fuse & Timer Boards. It makes installation quick, easy and tidy. 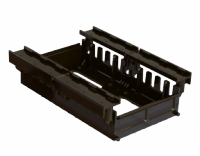 Multiple TDL-Mounting Bases can be connected together to act as a cable trunking system to make up a complete system.